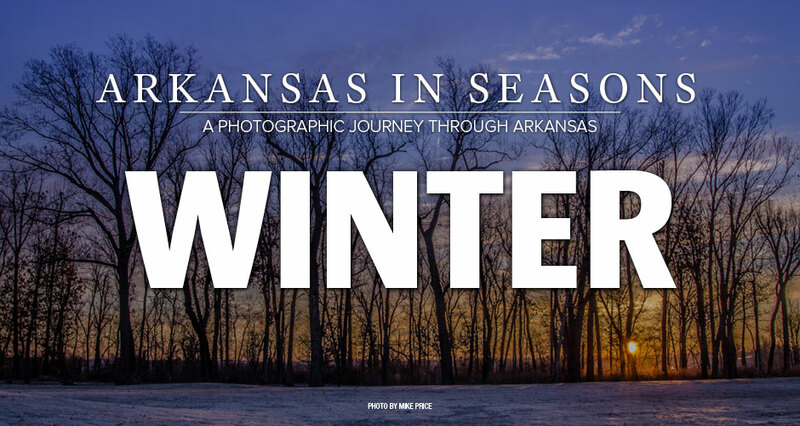 As a part of our Arkansas in Seasons book challenge series, we're looking for photos that showcase the winter season across Arkansas. Snow, ice, winter holiday events and other classic winter scenes will certainly be included, but we're looking for photos that capture the essence of winter across Arkansas in a deeper way, too. How do you focus on winter? Let's see Arkansas life in winter! Upload your best photos, then rate your favorites to help determine the winner of this challenge and help pick the photos that will be published in the Arkansas in Seasons hardcover book. The people's choice and editors' choice winners from this challenge will win a Bedford Camera and Video gift card, and be published in the Arkansas in Seasons book! Share the challenge with your friends on Facebook, Twitter or via email by clicking the "share with friends" button below. Everyone is welcome to help pick the best photos in this challenge and upload photos of their own!